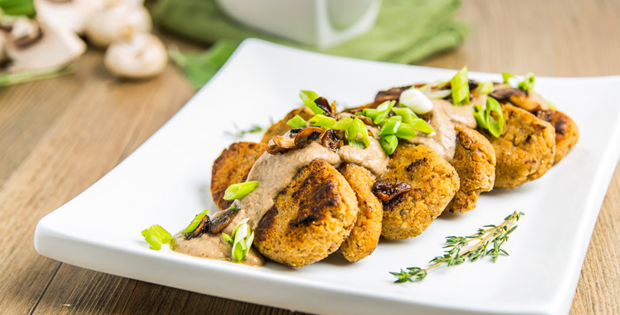 No one will miss the meat with these chickpea (not chicken) cutlets. 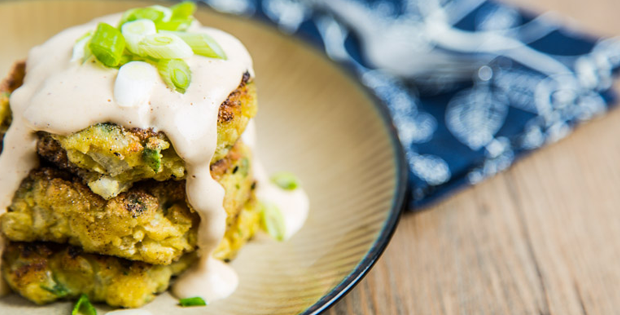 This plant-based stuffing is super delicious. 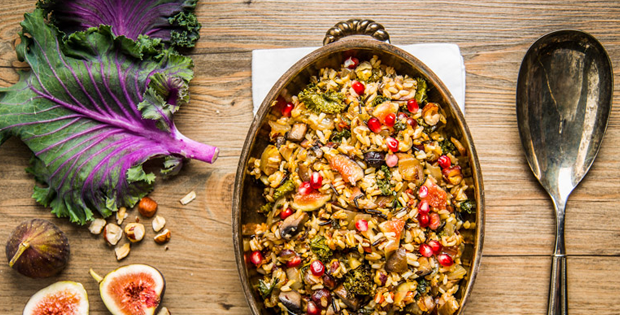 It’s wild rice-based, instead of bread-based, so if you’re gluten-free, rejoice! Leftovers are so hot right now. Pre-make your mashed potatoes a day ahead of Thanksgiving to save you time in the kitchen Thursday. Simple roll leftover potatoes into bite-sized balls, and fry for a side that goes great with cranberry sauce. A plant-based meal without a salad seems like a shame, don’t you think? 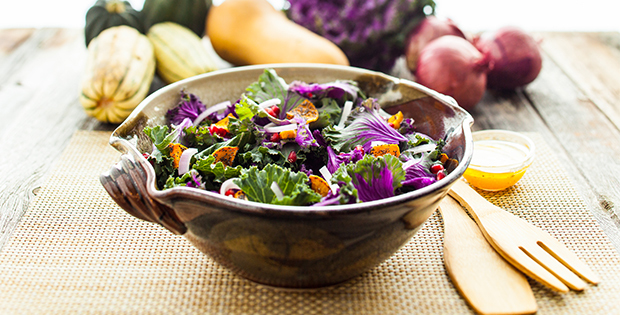 This salad is full of nutrient dense seasonal vegetables, tied together with a lovely Maple Orange Vinaigrette. 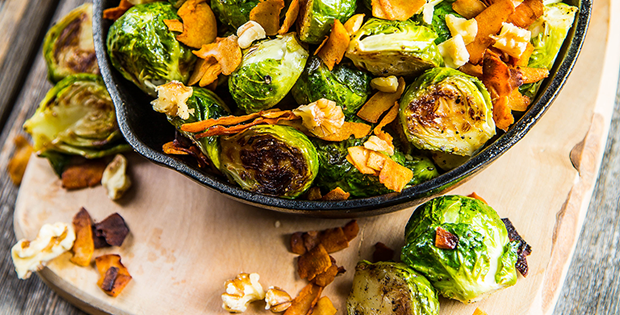 There’s nothing like (plant-based) bacon to make Brussels sprouts so delicious even cruciferous haters will have to ask for seconds. Pretty soon, you’ll lack additional reasons to eat all the pumpkin things. 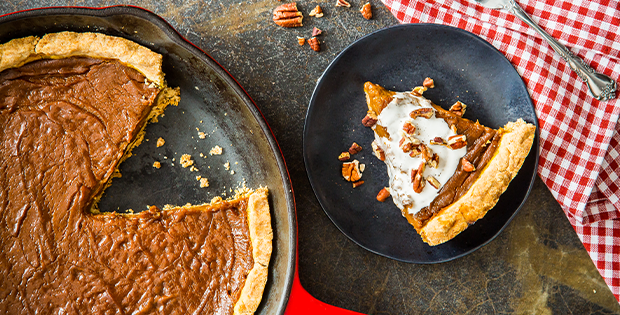 So a pumpkiny dessert should definitely have its place on your holiday table. 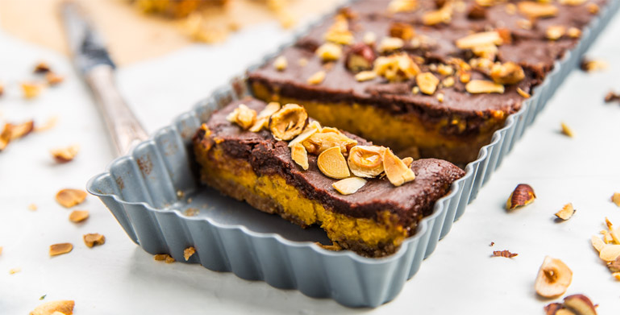 These dessert bars by The Vegan Project are to be celebrated. 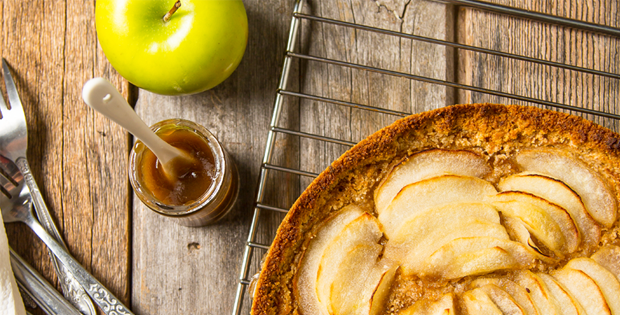 Only way you can make an apple pie sweeter is if it’s gluten-free too. Sweet caramel blends with local tart apples for pie perfection. Save your leftover sweet potatoes from Thanksgiving and make a sweet potato pie to enjoy over the long weekend. It always seems like 3× the amount of bags of frozen cranberries that are needed end up in your shopping cart (and then freezer). Rather than turning them into ice packs, make these high-protein muffins for breakfast the day of Thanksgiving. 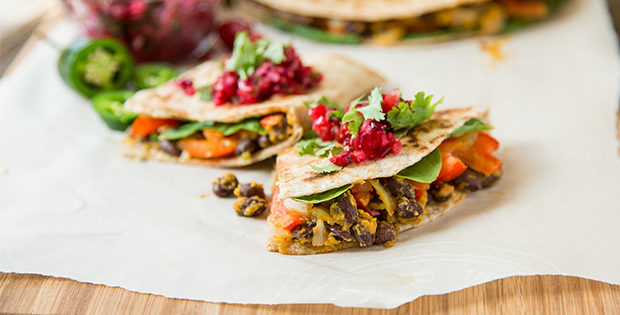 Put those leftover sweet potatoes to a savory re-use by making a vegan quesadilla. 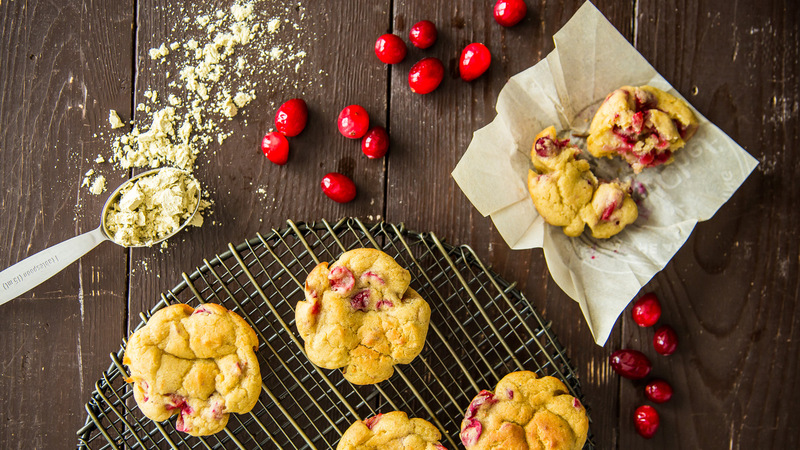 Keep it seasonal by whipping up a quick cranberry salsa to go alongside. What’s on your Thanksgiving table? Tag @Vega_Team on Instagram to show us your feast!